Top Oil has contractual supply agreements with international oil refining companies. At their refineries, a Certificate of Analysis (CofA) is supplied when ships are loaded. These are delivered to Top Oil for our review and records. A sealed sample of the product loaded is supplied with each ship and this is retained by Top Oil for 3 months. Prior to discharge, Top Oil and an independent shipping company review the CofA and check the parameters against a “Pre-receipt check sheet” of internal Top Oil standards. The shipping surveyor samples the ship prior to discharge and undertakes a visual inspection, checking for density and undertaking a flash test on diesel. Post discharge, a sample is collected from the receipt tank and retained for 3 months. Top Oil do not adulterate products in any way with additives or other products, bar the regulatory requirements for Bio-Ethanol and Bio-Diesel. All tanks are regularly checked for micro-biological growth and for any accumulation of condensate/water at the bottom of the tanks. All products are physically segregated throughout the facility. Petrol and diesel samples are taken daily, and retained for a period of 30 days. Representative samples of each product are tested by independent laboratories on a weekly basis, against a range of quality parameters in accordance with the Irish specifications for EN228 & EN590. At our Top Oil service stations fuel tanks are tested for water build-up, fill points are checked for sealing and forecourt pumps are checked for calibration. A number of Top Oil sites are sampled by an independent testing company, appointed by the Irish Petroleum Industry Association (IPIA), twice per year. The results of these tests are reported to the Dept of Energy and The EU. In an industry that is highly legislated, the tendency is to focus on compliance led CSR initiatives such as HSA and Environmental legislation. While we work hard to ensure compliance with our obligations as a petroleum supplier, we also strive to be innovative and to seek to implement CSR initiatives that are led by company values and by the developing values of our customer base. 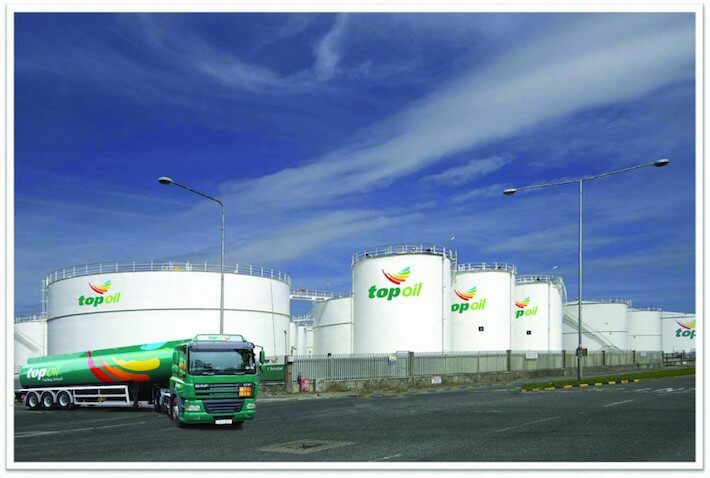 In 2008 Top Oil launched our Green Fuels Products. Our depots, which were traditionally “fossil fuel focused” now stock carbon neutral wood pellets and heat logs, E5 bio-ethanol, Biodiesel, Cleanburn Home Heating Oil, and Dipetane Fuel Treatments. While the market for these products is currently small, we are striving to become the supplier of choice for these products. We believe that it’s our responsibility to help build the momentum towards a tipping point in the green fuels market.